Ignoring SEC Regulation T can stop a trade from being completed. 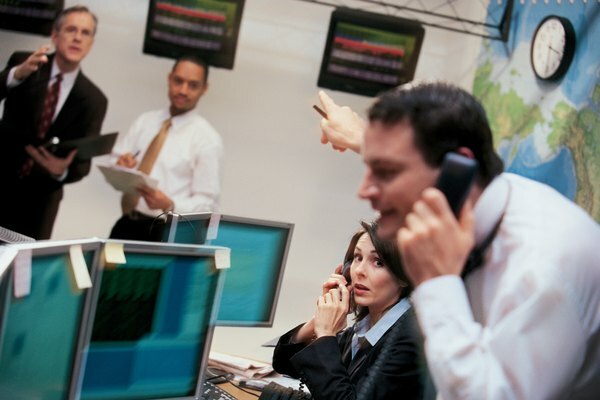 Active stock investors and day traders frequently scan the market in search of new trading opportunities. They will close out one trade, collect the gain or eat the loss, and use any proceeds to fund a new position. If this is your strategy, just make sure you don't run afoul of the Security and Exchange Commission's Regulation T, which governs cash account trading. Go to your online trading account and bring up your open stock positions. Analyze the news events and current conditions that affect each stock. Pull up a chart and determine if the stock is holding steady or preparing to move against your position. Consider all the factors before deciding which stock to sell. Open your trading account order entry page and enter the stock symbol and the number of shares you want to sell. Decide if you want to sell at the market price and immediately close out the trade or enter a limit order in hopes of getting a better price. Make your selection then enter the trade. Check to make sure the order went through, especially if you sold using a limit order. After receiving confirmation that the stock is sold, go to your account page. There should be a credit to your account for the sale proceeds less the commission. Wait three days before trying to use the sale proceeds to purchase new stock. Under Securities and Exchange Commission Rule T, there is a mandatory three-day waiting period from the time the stock is sold before you can use those funds. All brokerage firms must abide by this regulation and many firms have programs in place that automatically freeze stock sale proceeds. Check your account four days after the sale date to be sure the funds are available. If so, go to your order entry page and place the trade using the proceeds from your stock sale to buy new stock. If the funds are still frozen, contact your broker to help resolve the problem. Make sure you have enough cash in your account to open a new position during the mandatory three-day settlement period to keep from missing trading opportunities. Regulation T was enacted to prevent free-riding. This occurs when a trader buys stock shares on day one and sells them on day two or three, using the sale proceeds to pay for the initial purchase. This practice is not allowed in cash accounts. Traders caught free-riding can expect to have their account frozen for up to 90 days.